Are you a personal brand who’s battling with website traffic and SEO? BUT YOU STILL NEED TO REGISTER. Are you struggling to get enough traffic to your website or blog? Perhaps you’ve even googled your name or the name of your business and you’re not appearing anywhere in search results. ​SEO is one of those tricky topics personal brands worry about all the time. You might find it confusing, you’ve probably tried it before and had to wade through complex and jargon-filled content just to get your head around it all. We would like to invite you to our SEO Masterclass for Personal Brands at 8pm on Thursday 6 September (BST)/ 3pm (EST). But this SEO webinar will be packed with actionable advice and tips that you can use straight away to get your business found online. Join our FREE webinar now. There are limited spaces available, and it’s on a first-come-first-serve basis. A replay will be available if you can't make it, but you still have to register! How to discover the BEST keywords for you. We'll teach you how to uncover specific words and phrases you can rank for on search results. We'll give you the exact steps that we use to rank highly on Google. We'll tell you how to build your trust & credibility with Google to increase your rankings. This one thing allowed us to increase our traffic by 10x the amount from the previous year. Over the course of my business career I have found it particularly tough to find someone in this space that is not only technically proficient, but also delivers results. Martin and Lyndsay do both, and they're super nice guys too. 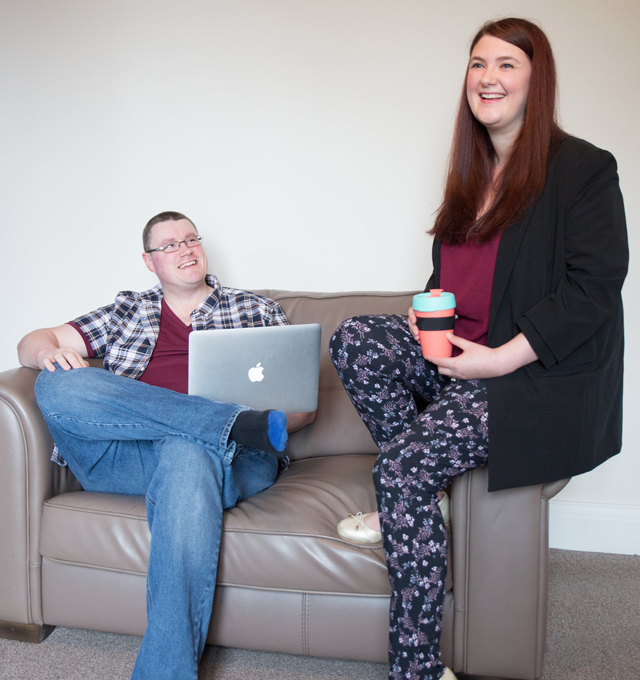 We’re a husband and wife team, and together with our two cats, we run a digital agency, Jammy Digital. We’ve helped personal brands and small business owners make a success online. We can't wait to help you either. Register above for the SEO Webinar and get found online.